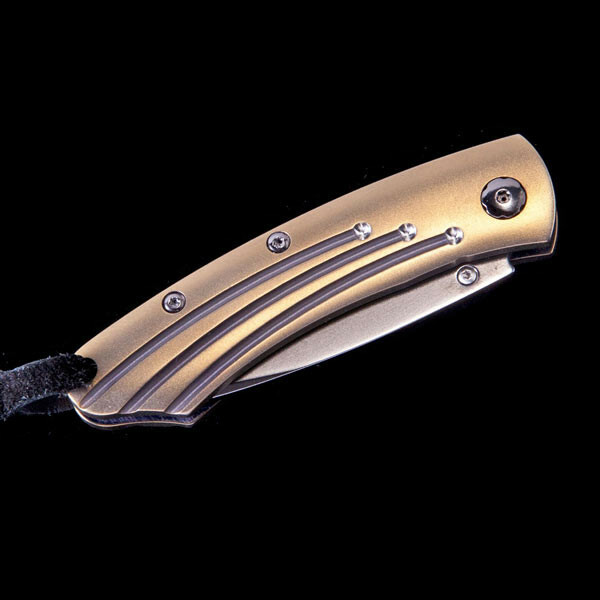 This sleek pocket knife from William Henry's Pikatti collection is a modern day masterpiece. 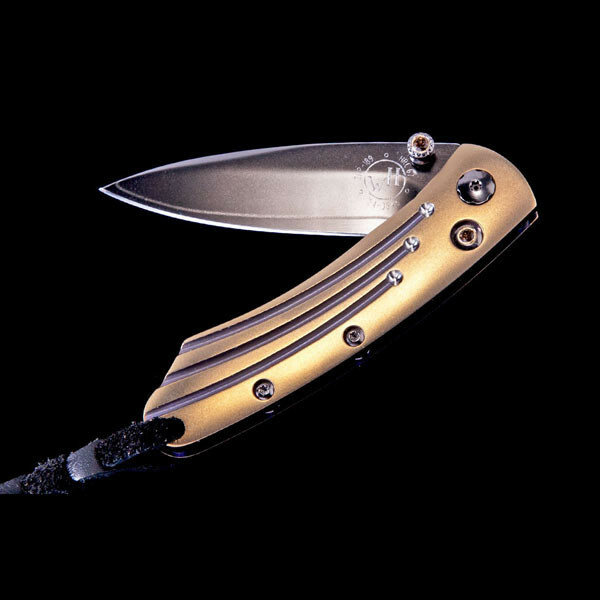 The lightweight titanium frame has a blast finish with a rich anodized golden hue, and it houses a 2" blade crafted from ZDP-189 black coated steel. The one hand button lock and thumb stud are set with the tawny hues of smoky quartz. 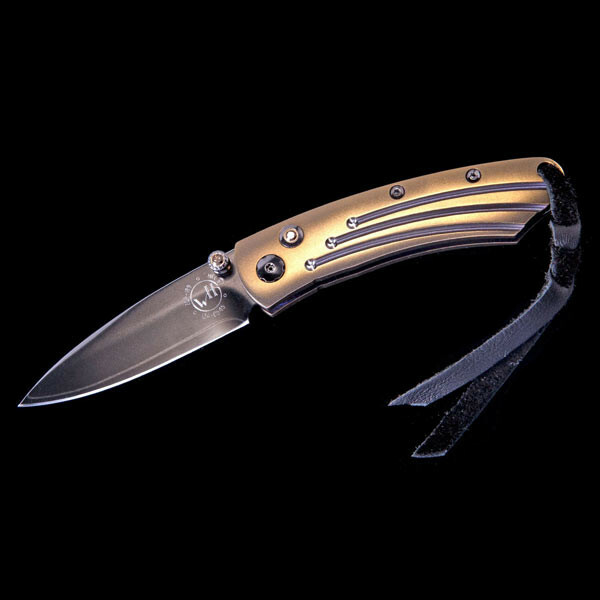 This William Herny knife is a bold beauty.